Gemini was the company that rose from the ashes of the demise of Nascom (at the same time that Lucas bought the Nascom name). The computer was thus designed by the people who initially set up Nascom. In fact, it tooke advantage of some of the later ideas floated around the Nascom 2. Although it was available as a series of single boards and plug-in modules for the 'kit' enthusiasts, it was mainly sold as a complete unit with typewriter style keyboard and dual floppy disc drive. 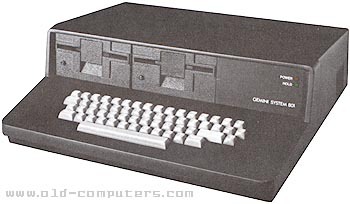 64 KB of user RAM was provided as standard and the computer came with two Z80A processors, one driving the video, the other doing all the rest. see more Gemini 801 Ebay auctions !